Angela Merkel told reporters Germany would not necessarily side with America in a war on North Korea. First, it makes no difference militarily to the U.S. Germany has nothing to offer in that arena anyway. Second, we’ll remember that statement when the shoe is on the other foot. Should we get every single American soldier out of Germany right this minute? The Iranian regime’s Press TV: Chancellor Angela Merkel of Germany has warned the United States that Berlin would not necessarily take the side of Washington in a potential war against North Korea, saying the two sides of the conflict on the Korean Peninsula had better seek a diplomatic solution and avoid direct military confrontation. If a military conflict erupts between the United States and North Korea, Merkel said on Wednesday, Germany would not automatically take the side of Washington. 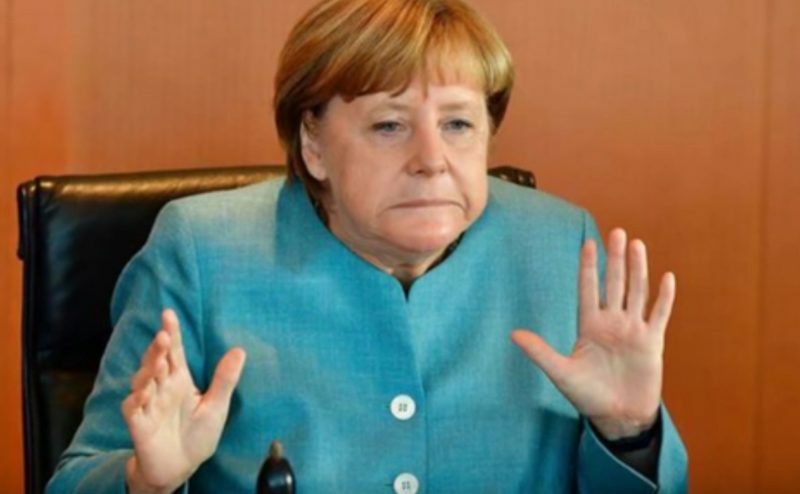 Berlin and other members of the European Union are in favor of a peaceful solution, she added. Merkel said resorting to military action to overcome the standoff between the United States and North Korea was absolutely wrong. She urged the international community to do more to resolve the crisis. “We should do more … We cannot simply insist on a diplomatic solution while we sit and do nothing,” she said at an event organized by the Handelsblatt business daily. Much to the dismay of Washington and its allies in Asia, North Korea tested two intercontinental ballistic missiles (ICBM) last month to show its military capability to target the mainland United States.